Water always has risk attached to it. If you're going out in a kayak, canoe or sit on top do a training course to learn techniques and rescues. 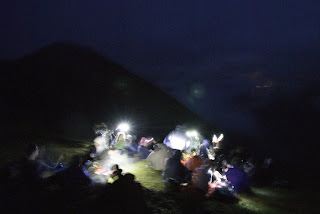 Make an exciting and unique Summer Solstice night ascent of Carrauntoohil, in darkness with head torches and guides. Stand on the summit of Ireland's highest mountain at dawn to savour the early morning calm and hopefully sunrise over the MacGillycuddy Reeks... After descending Carrauntoohil in the dawn light, enjoy a huge freshly cooked breakfast in Killarney. Meet at midnight just outside Killarney for registration and gear check. Then drive to the base of Carrauntoohil for a four to five hour walk to the summit. Relax on the summit to watch the sun rise over the Gap of Dunloe and MacGillycuddy Reeks at approximately 5am, weather permitting. Descend down through glaciated corries and high cliffs and finish this unique experience with a huge freshly cooked breakfast in Killarney at approximately 10am. To participate in this climb you will need full hill walking gear including hill walking boots, waterproofs, spare fleeces and head torch. There is no guarantee of good weather or clear skies for dawn, but the trip will go ahead regardless of the weather, unless it is unsafe. We have just teamed up with Link Community Development, Ireland's leading African education charity so you can not only undertake this brilliant night hike, but support education in Africa too. Link Community Development can offer supporters the chance to participate in this exciting event, free of charge; for fundraisers who collect a minimum of €350 sponsorship. The Killarney Summerfest is set to kick off on Friday 3rd July and run until Saturday 18th July. This is one of Ireland’s premier festivals bursting with activities for all ages, abilities and interests! Some of the outdoor highlights include an atmospheric outdoor theatre production of ‘Merlin the Magician’ in Muckross Gardens; a 5km fun run through Killarney National Park; a waterbus trip on the Lakes of Killarney with a storyteller and local musicians and the spectacular sight of hot air balloons soaring over Killarney town and valley. This year, for the first time, we've teamed up with the Summerfest to provide a series of unique and exciting outdoor adventure trips. These unusual trips include peaceful dawn kayak trips and relaxing sunset kayak trips across Lough Leane; family rock climbing and kayaking suitable for all abilities; a midnight walk through the yew woods of Ross Castle and guided ascents of Carrauntoohil, our highest peak. For more details check out www.killarneysummerfest.com, or to find out more about the festival adventure trips click here. 6am - 9am. €40 per person. Experience the peace and tranquillity of the dawn chorus and sparkling sunrise as you explore the quietly lapping waters of Lough Leane, by kayak. 10am - 1pm. €35 per person. Unique and interesting kayak trip back in time. Paddle into limestone caves and passages, possibly once used to escape from Viking attacks. Explore the thickly wooded shores of Ross Island and land beside Bronze Age copper mines, to marvel at the ancient workings. 7pm - 10pm. €35 per person. 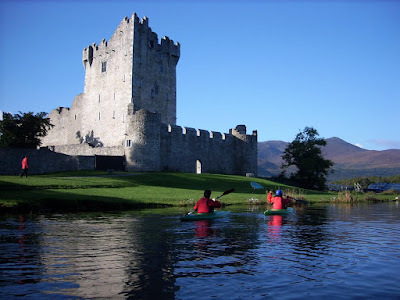 Leaving the shores of Ross Castle behind you, kayak past rustling islands and sleepy swans, into the deep waters of Lough Leane where you can relax and savour the western sunset. 10am - 1pm. €30 per person. Explore the Lakes of Killarney by kayak, with a fun and friendly guide. Discover local legends, history and wildlife, while avoiding getting wet! 11pm - 2am. €35 per person. Beginning at the dark walls of Ross Castle, enter into the misty yew woods, to face legends, stories and occasional detours. Finish back at Ross Castle, where a comforting cup of hot chocolate awaits! All ages and abilities welcome. 9am - 6pm. €55 per person. In the company of an experienced and knowledgeable guide, climb steeply up through glaciated corries, past black mountain lakes and along ice-carved ridges to stand on Carrauntoohil's lofty, cloud-strewn summit. Some experience is needed, plus hill walking equipment. Discover the excitement and adrenaline of rock climbing on sandstone cliffs in the deep, spectacular Gap of Dunloe. All equipment provided. No experience needed! Spend a fun and exciting morning rock climbing in the Gap of Dunloe. Suitable for all ages and abilities. All equipment provided. No experience needed! Two nights accommodation and full Irish breakfast each morning plus a leisurely expert guided cycle through Knockreer Estate, keeping a watchful eye out for red deer. Stop at Ross Castle, perched on the shores of Lough Leane, to enjoy a steaming cup of tea or coffee. Bike around Muckross Lake, hearing about the long-ago Viking attacks and local history. Enjoy dinner in Rozzers Restaurant (€55pp) and experience world renowned hospitality from this Trip Advisor award winning property. Price includes bike hire & local guide. Two nights accommodation and full Irish breakfast each morning and the services of a specialist guide taking a boat trip through the three Lakes of Killarney. Enjoy a special Killeen packed lunch followed by a leisurely hike through the impressive Black Valley and ice-carved Gap of Dunloe. To finish - a refreshing pot of tea, or creamy Guinness, at Kate Kearney's Pub. Later on, enjoy dinner in Rozzers Restaurant (€55pp) and experience world renowned hospitality from this Trip Advisor award winning property. Price includes boat trip & local guide. Two nights’ accommodation and full Irish breakfast each morning, with dinner on one night and knowledgeable guided walks exploring the Kerry countryside included. Arrive and take an evening stroll through Killarney National Park, discover the history of Muckross House and visit the peaceful ruins of 15th century Muckross Abbey. Enjoy dinner in Rozzers Restaurant and experience Kerry hospitality at its best. Next day explore the Old Kenmare Road, a coaching road winding through Killarney National Park. Enjoy a picnic lunch at cascades near Friar's Glen. Climb to the peak of Torc Mountain to savour spectacular views over Killarney and finish in the warmth and comfort of a local pub. For more details contact Michael on charming@indigo.ie; 064 6631711. Killeen House Hotel Special Offers! With the good weather and warming water temperatures it’s a great time to take to the water, in a kayak, canoe or sit on top, to explore our local lakes and beaches. Caragh Lake, just outside Killorglin, is a beautiful deep lake, with thickly wooded shores, steep mountain sides and little promontories all calling to be explored. Six and a half kilometres long and two kilometres at it’s widest, it’s a large open lake, with an ancient burial site on its western shore where the insane and unbaptised were once buried. Slightly further west are the fabulous golden beaches of Inch and Castlegregory, or Inchydoney to the east. On a calm day these beaches are fabulous spots to learn how to handle your craft; or as exciting Atlantic swell rolls in, perfect for surfing. 1. Check the weather forecast, paying special attention to the wind and tides. 2. Avoid offshore winds or strong tides. 3. Tell someone where you’re going and what time you’ll return. 4. Always have at least three of you on the water. 5. Check your kayak, canoe or sit on top is seaworthy, for lake or beach. 6. Always wear a buoyancy aid, well fitted and secure. 7. Wetsuit and helmet are nearly essential, apart from the hottest and calmest of days. For outdoor gear check out Sport Corran Tuathail in Killarney or Maher’s Sports in Cork. Sport Corran Tuathail, in Killarney Outlet Centre, have a special offer on boats and equipment at the moment. Maher’s Sports, beside Cork Bus Station, are offering a 10% discount to anyone with a copy of this article. Stand on Ireland's highest peak early in the morning of the Summer Solstice (21st June), the longest day of the year. Watch the sun's rays brighten the eastern skies, on this ancient pagan festival. After descending Carrauntoohil in the dawn light, enjoy a huge freshly cooked breakfast in Killarney. Meet at midnight just outside Killarney on Sat 20th, for registration and gear check. Then drive to the base of Carrauntoohil for a three to four hour walk, up the Devil's Ladder area, to the summit. Relax on the summit to watch the sun rise over the Gap of Dunloe and MacGillycuddy Reeks at approximately 5am. Descend down through glaciated corries and high cliffs, on a different route to your ascent. Finish this unique experience with a huge freshly cooked breakfast in Killarney at approximately 10am. For accommodation in Killarney, either before or after the climb, I would recommend Scotts Hotel, Robeen House B&B or Killarney Railway Hostel. The price is €85 per person; or €75 per person, for two people. Try a short relaxing yoga session on Sunday morning after breakfast, completely free of charge, to revitalise your body and mind! Kayak Trips on the Lakes of Killarney also available on Saturday and Sunday for the discounted price of €30 per person. 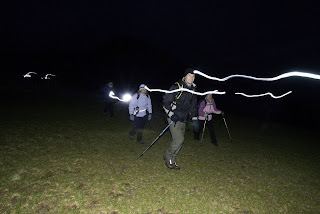 Two more dates are planned for night ascents; Sat 18th July and Sat 22nd Aug! The Kerry Way from Glencar to Glenbeigh is a beautiful gentle hike, suitable for any hiker with reasonable fitness; a family outing; or visually impaired people, with sighted guides. Start at the Climber’s Inn in Glencar, a useful place if you’ve forgotten to buy chocolate for your hike. From here follow the sign-posted Kerry Way along wooded green lanes and later the high banks of the clear Caragh River. Looming in the distance is the Ballaghisheen Pass, named after Oisin from Tir na Og. At the crest of this mountain pass it’s told that Oisin fell from his horse, and perished as the 300 years of his departure from Ireland caught up with him. I think the best part of the hike is as the little trail leaves the Caragh and winds through thick dark pine woods for over three kilometres, crossing deep quiet streams and occasional fallen trees, their roots torn up into the sky. The final section of woodland hiking feels like a secretive mass path as the trail descends and ascends winding stone steps and ducks under overhanging branches. The distance is 14 km and the average time, including breaks, is about 4/5 hours. If you’re interested in doing something a little more strenuous; this June summer solstice weekend Outdoors Ireland are running a guided night ascent of Carrauntoohil. We’ll be on Carrauntoohil’s summit just before dawn to enjoy the magical experience of sunrise on the longest day of the year, before descending to a tasty breakfast in Killarney. Most experiences and abilities would be able for this trip. ‘Innovate or die’ could be the best way to describe Kerry businessman and outdoor enthusiast Nathan Kingerlee’s approach to the changing tourism economy. Based in Kerry, it has been an exciting challenge meeting the changing needs of clients to continue with the expansion of his business in the current climate. 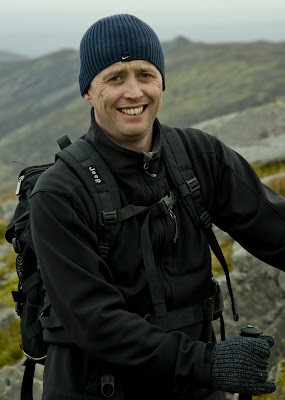 Outdoors Ireland is one of the leading outdoor adventure company’s in the South West. The main focus has been kayaking, hill walking and rock climbing, used for team building, corporate events or individuals. His latest venture incorporates yoga with outdoor activities. According to Kingerlee, the main reasons people come to his company, Outdoors Ireland, are “to get away from the stresses of modern day living, to unwind and live healthily for a few days. Combining yoga and the outdoors is the perfect anecdote to rejuvenate oneself in these times”. One of the keys to his success is responding to the market’s often diverse interests. According to Kingerlee “Business is always evolving and it’s important to be able to adapt to your customer’s individual tastes. In order to do so, you need to be sensitive to what they want and respond to it” A day with Outdoors Ireland will offer you a fun and thrilling adventure whatever your interests. Not many local businesses can boast that Easter 2009 was twice as busy as the previous “In general demand is increasing constantly and we continue to give excellent quality, value and new adventures. Fàilte Ireland is also doing great work to promote the South West as an adventure location and to encourage the Irish to take advantage of what's on their doorstep, so that's been a big help” said Kingerlee. The yoga weekends have an emphasis on healthy living and eating - a detox of the mind and the body. Providing an opportunity to learn some new and simple things to take back into your normal lives, such as yoga techniques and this coupled with the chance to try activities like kayaking, hiking and biking. This innovative Kerryman has provided the perfect backdrop to restore the body and mind. For more information, photos and dates please contact Nathan Kingerlee.